Warmly welcome to Kingdom of Cambodia! Kingdom of Cambodia is famous for the warm hospitality it extends to visitors from around the world. Visitors to our kingdom enter a country filled with spectacular temples, natural splendor, and world class resorts. However, it is the warmth hospitality of the Cambodian people is what most often makes the deepest impression on visitors to our wonderful country. 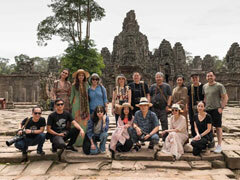 Dear Value Visitors Welcome to Angkor Visitor Tours! 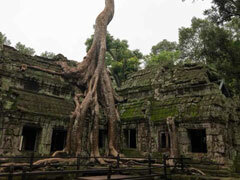 Are you looking for a Private Tours or Family Tours to Angkor Wat ? You get into the right site, my name is Hear Praim I was born in 1978 in Siem Reap and it remains my hometown. 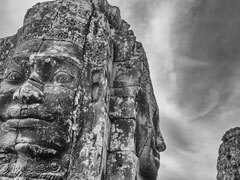 I am a licensed friendly English speaking tour guide, specializing in Tours of Angkor Wat, Angkor Temple Complex inside Angkor's Archaeological Park and the Siem Reap Region. My service is focusing on a private and family tours I can tailor unique tours to meet your specific requirement. 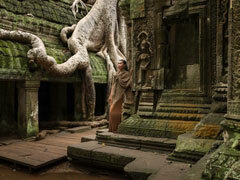 I have hosted many guests to the temples of Angkor since 2007. 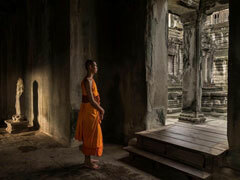 I know a lot about history of Angkor and her culture as well as modern history and the culture of Cambodia. After many positive experiences of leading tours I have learned a lot from my satisfied clients-tourists just like you. Now I have decided to work as independent tour guide and tour organizer. I am a self-employed tour guide and tour organizer, so I am always flexible to satisfy everything my guests need. I can provide tours to Angkor Wat, Angkor Thom and other sightseeing in the beautiful city of Siem Reap. Are you aware of other remote temples, Waterfalls, floating village or shopping district? I can accommodate groups at a very competitive price and high quality of service that will create memories of your trip to Cambodia. I am very pleased to respond to all your inquiries about your tip to Cambodia and can offer you assistance in your trip planning to all sightseeing options in the Siem Reap region. 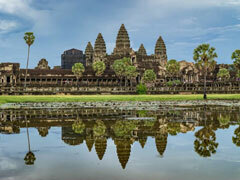 I am looking forward to providing my services to add value to your overall experience in Siem Reap. Thank you so much for your consideration. Please have a look at my TripAdvisor's reviews to see what other people say about me and your feedback always welcome.